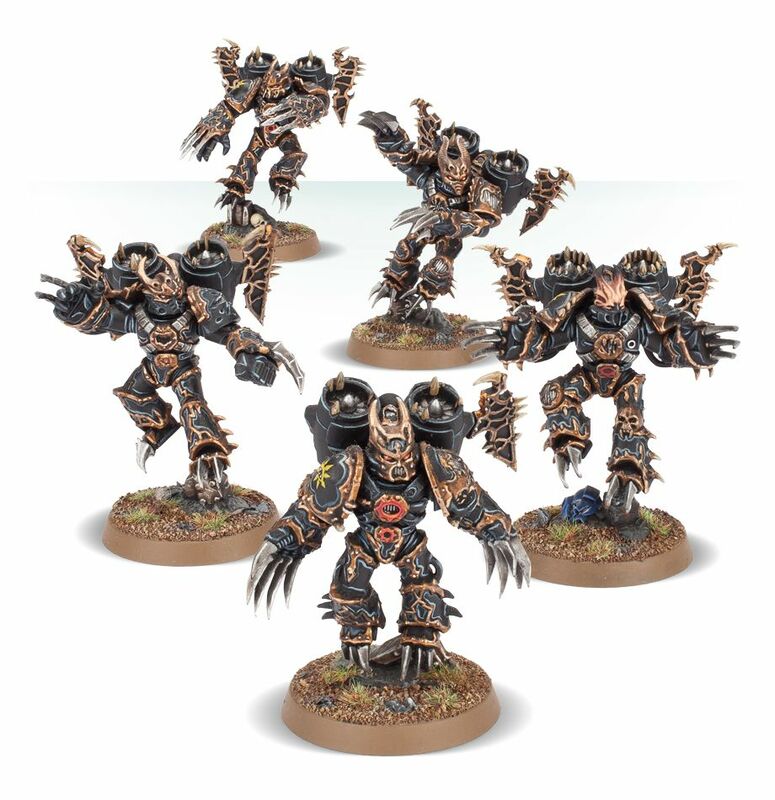 When a pack of Warp Talons emerges from the Warp, it appears to those on the battlefield below as if daemonic warriors have burst out from nothingness into fiery, vengeful life.The Warp Talons feature vicious-looking lightning claws and horned helmets, as well as barbarous wings on their jump packs. 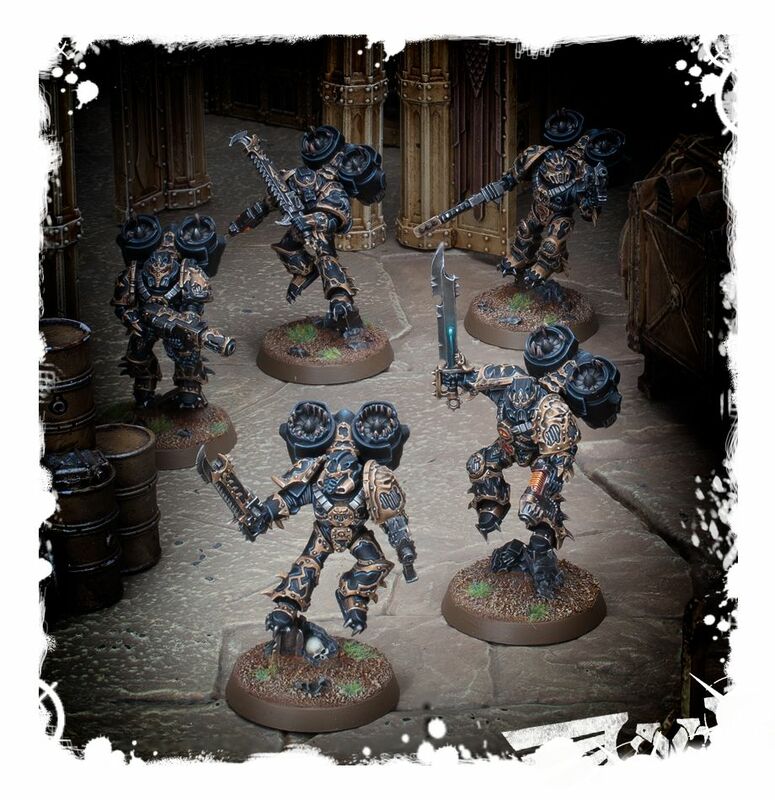 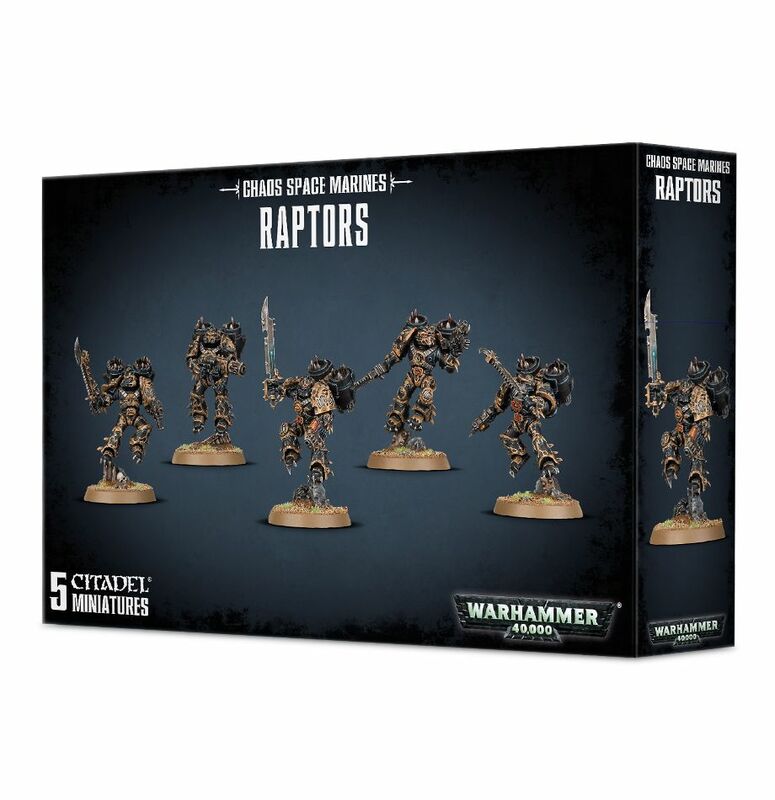 Sculpted in an array of dynamic poses, they are either perching on or taking off from the battlefield debris on their bases. 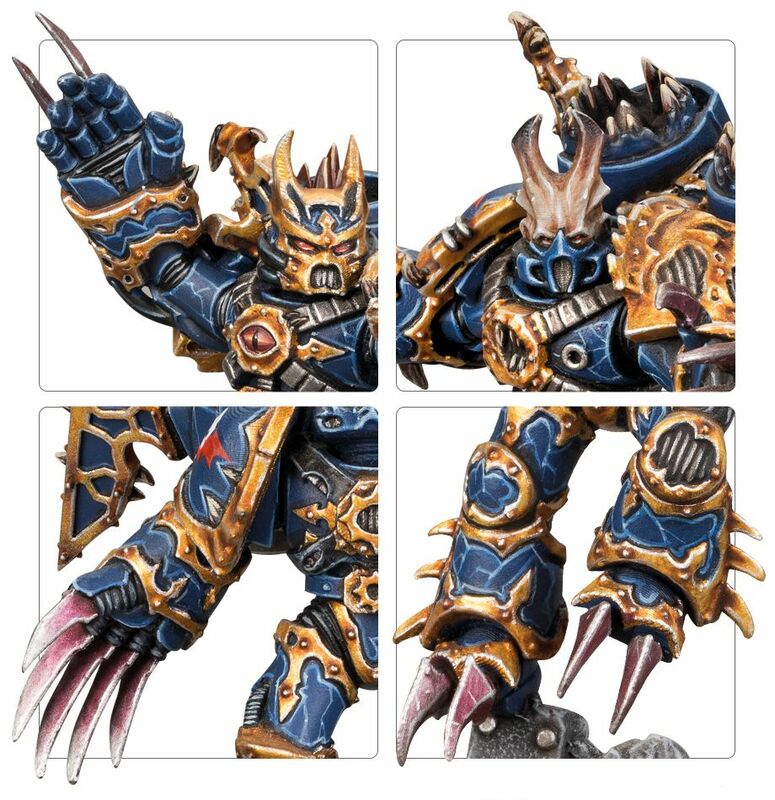 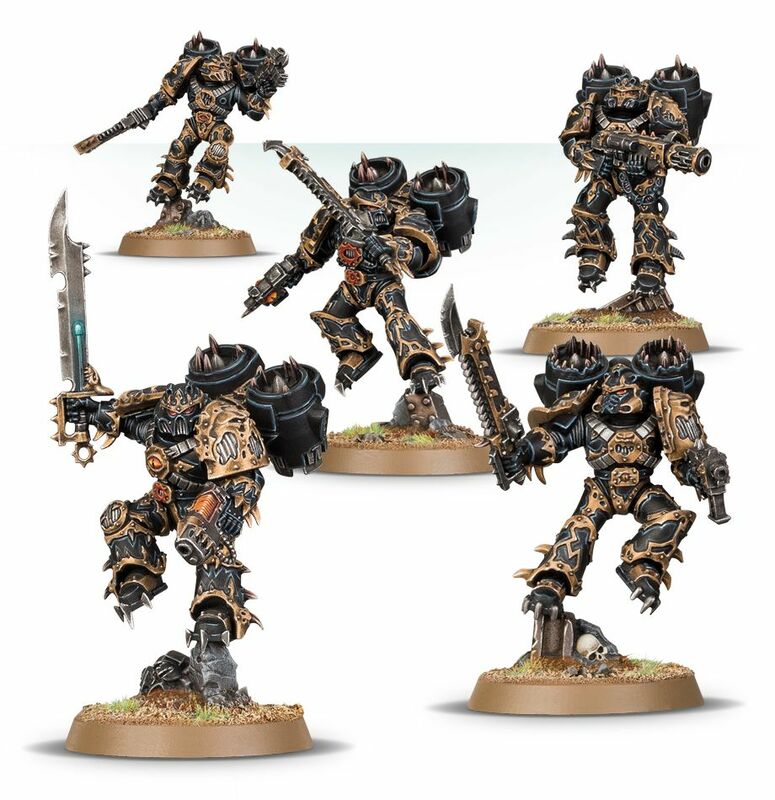 All over the models, the metal-rimmed armour shows all the distorting effects of the Warp: grills emerge from shoulder pads; cables jut from armour; teeth protrude from various surfaces around the rim of the jump packs. 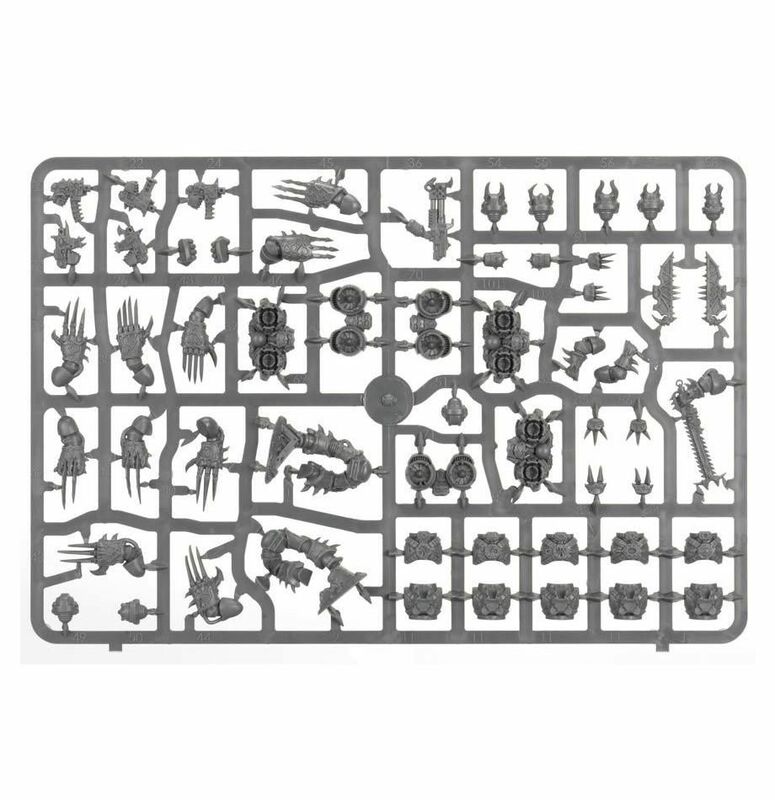 They make an exciting and striking addition to any Chaos Space Marine collection.This multipart plastic boxed set contains 116 plastic components, five 32mm round bases, and a Chaos Space Marine Transfer Sheet, with which to build 5 Chaos Space Marines Warp Talons or 5 Chaos Space Marines Raptors.This kit is supplied unpainted and requires assembly - we recommend using Citadel Plastic Glue and Citadel Paints. 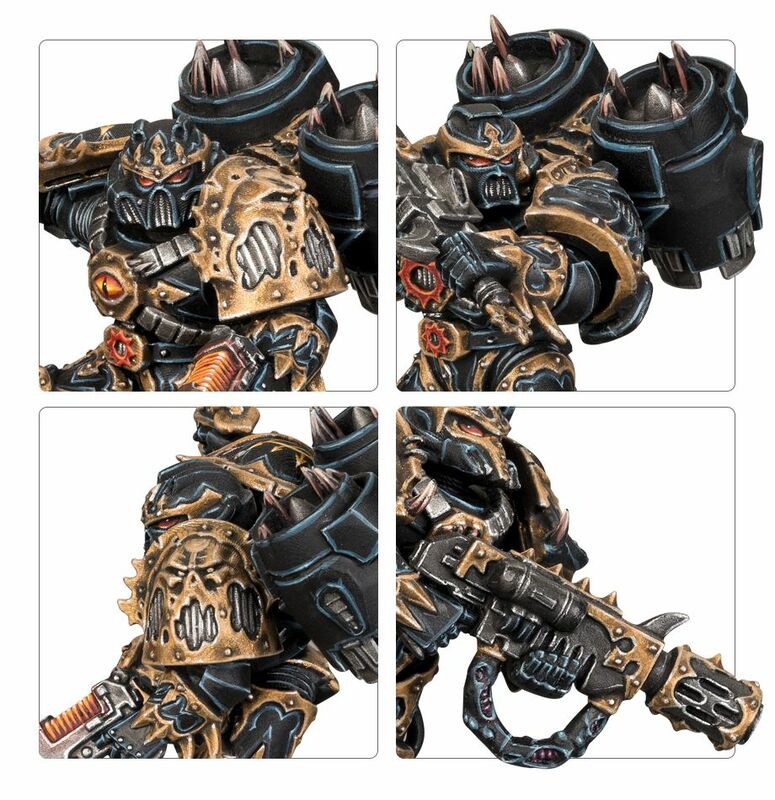 Submitted by Miniset on 9 December, 2018 - 17:31 (286592). 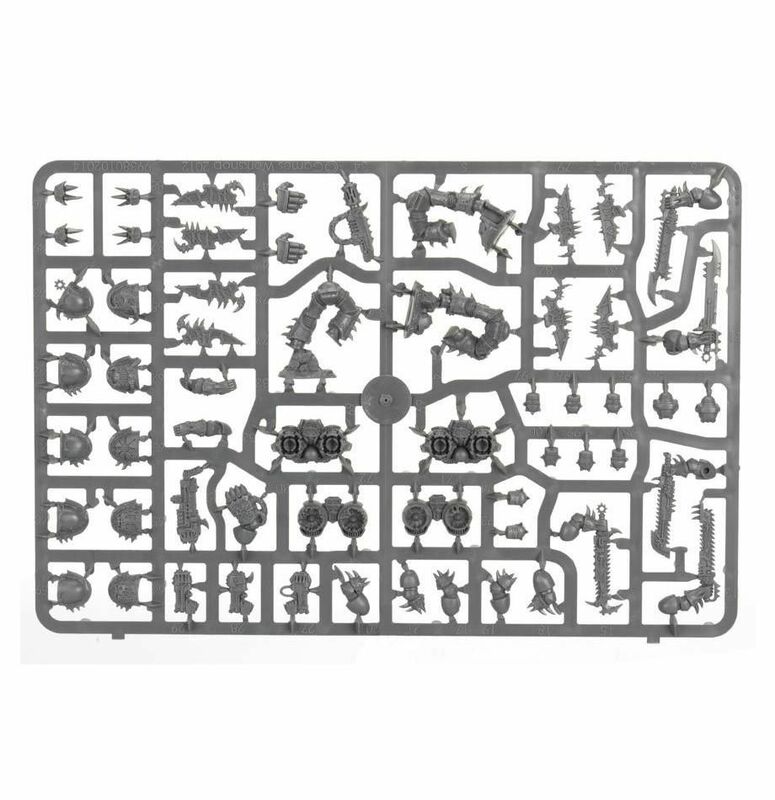 Variations of set gw-99120102087 Variations of this set's assembly, sets with same id.